Rheem Pro Partner, HVAC Repair, Replacement and Maintenance., Gustafson Heating and A/C, Inc.
Our Mission is to Clearly define and exceed our customer’s expectation 100% of the time. we strive to reflect our values in the way we work. Believing service is not a department but a way of life. We are privileged to serve our customers and committed to helping our employees move towards their full potential. Doing great work alone is not enough. For us it is about doing an exceptional job in a way that honors everyone involved. 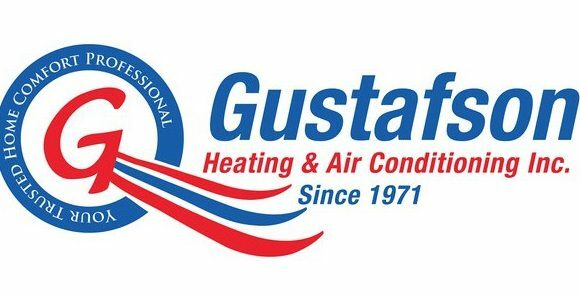 Gustafson Heating & Air has been serving customers for over 44 years. We turn all of our clients into friends and treat their homes like we would our own. There’s a one-time charge for trip and diagnosis, no matter where you live or how long it takes us to diagnose your heating or air conditioning system. You pay nothing else, until you decide to. Our process ensures you’ll get a great return on your investment. Our services are very competitively priced. Our price reflects only what your unique heating and cooling situation needs and nothing more. Our selection of the best materials and equipment combined with the best HVAC service methods leaves our customers with the greatest return on investment in the industry. If price is your greatest concern, then we have systems available to accommodate your needs. We purchase large quantities of products allowing us to be as competitive as any other company. There are only 3 ways to lower price.